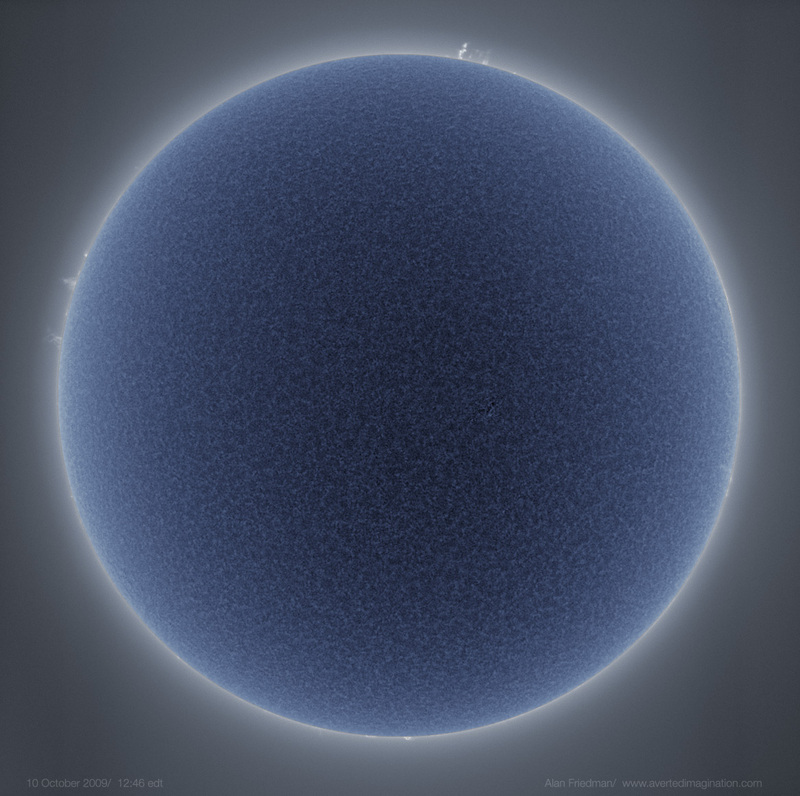 I’ve featured many of Alan Friedman’s amazing photos of the Sun here on Lights in the Dark, starting from the very first one I came across via the venerable Astronomy Picture of the Day (APOD) in November 2009. I’ve even featured Alan’s work in several articles I’ve written for National Geographic News, Discovery News, and Universe Today. Alan runs an independent greeting card print shop in Buffalo, NY, and in his spare time likes to collect vintage hats, travel, do some astrophotography, and oh yeah, also take the most un-freakin’-believable photos of our home star in hydrogen alpha light from his own backyard. Every year the Royal Observatory in Greenwich, England holds a contest for best astrophotography, and this year they visited three of the entrants to get the stories behind their photos. While it looks like Alan didn’t win a grand prize this year (but he did take second) the video above shows how — and why — he makes his photos. It’s quite a beautiful video, and makes you feel like you’re a guest at Alan’s home looking up through his telescope along with him and his family. You can find some images of Alan’s I’ve shared on Lights In The Dark here, and see more of Alan’s work on his Averted Imagination blog here. Currently Alan’s sun photography is on display at the Orange County Great Park Gallery in Irvine, CA Thursdays through Sundays from Sept. 15 to Dec. 1. If you’re in the area, don’t miss the chance to check it out. Admission is free. Thank you for sharing this, Jason! With 1200 entrants submitting incredible photos, I am very happy to finish second in RMG’s contest. After all, how can one top a solar eclipse. I will be out for a visit to the Solar Decathlon and my installation there on October 10th and 11th… look forward to meeting visitors and sharing some views of our sun. Thanks for your amazing pics of our star.